“Thanks to the Loeb Foundation, our small fire and rescue department has been able to operate at full capacity. The ambulance and medical equipment that has been granted to us has helped us save lives. Without your grants, we would have a hard time operating at medic Advanced Life Support (ALS) level of care. Our Mission Statement says ‘…, and to serve the community when called with dispatch, skill and diplomacy.’ Our whole goal is to serve our community and we have developed a well-known ALS response. Our response can be credited to the equipment given by the Loeb Foundation. The Foundation’s grants demonstrate how much you care for the community. 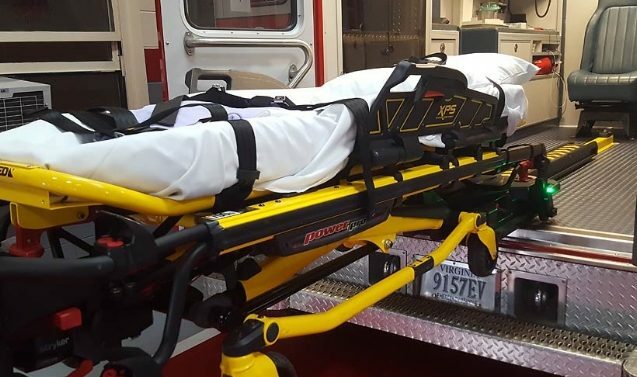 2008: Ambulance – still running but needs replacement within 2 years. 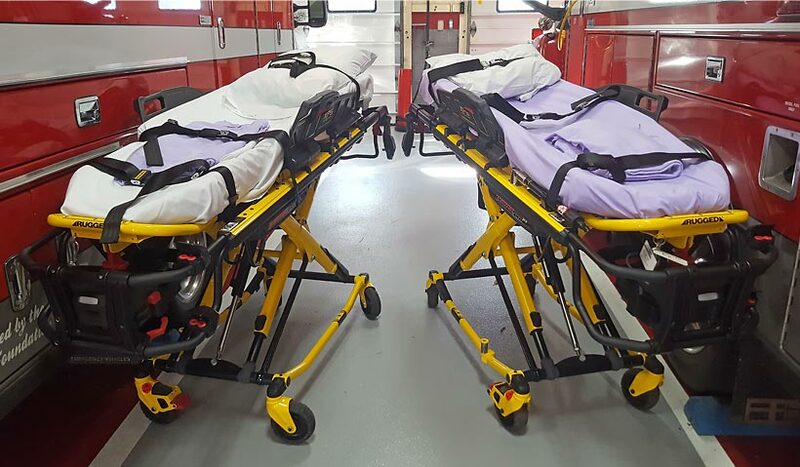 2011: 2 power cots – still in use and working well. 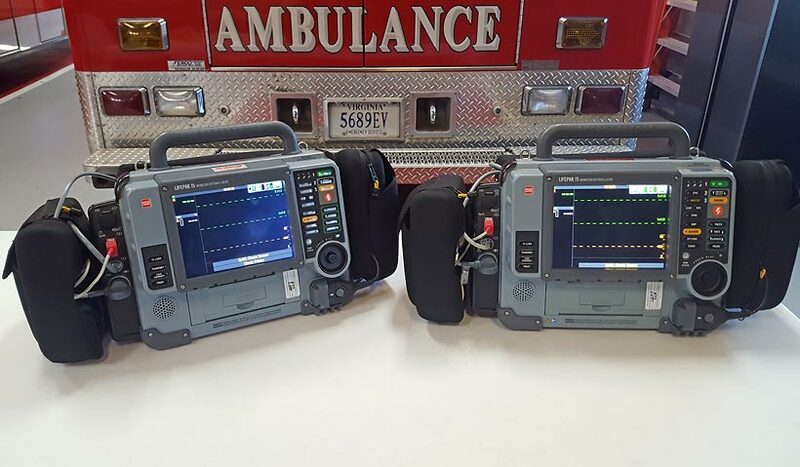 2013: Part of Lifepac 15 – heart monitor is full functioning. 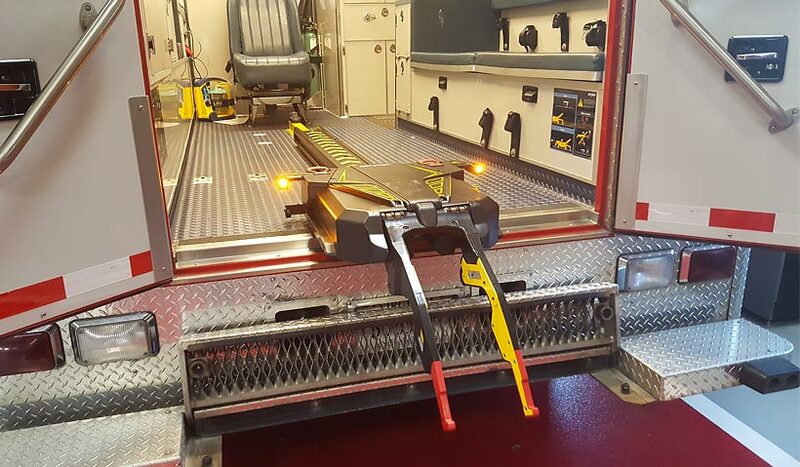 2015: Power Load – lifts cot into ambulance saving providers’ backs from lifting heavy patients. 2016: Part of Lifepac 15 – heart monitor for all patients having chest pains, etc. 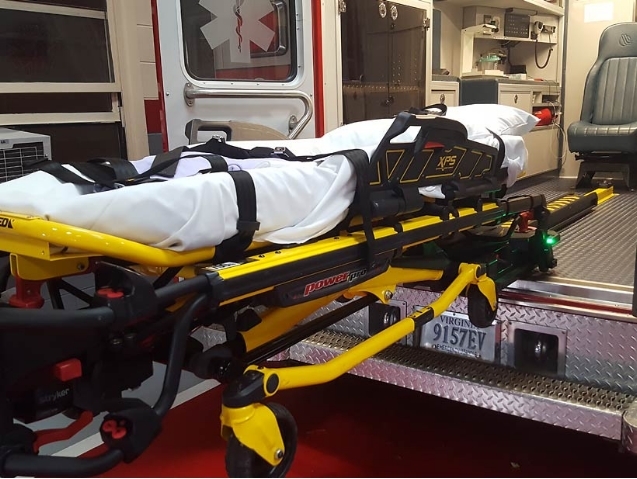 2018: Power Load – lifts cots into ambulance. Installed last week and already helped lift extremely heavy person into ambulance.